General: Ursa Minor is Latin for “little bear,” and get its name from some of the same myths concerning Ursa Major. 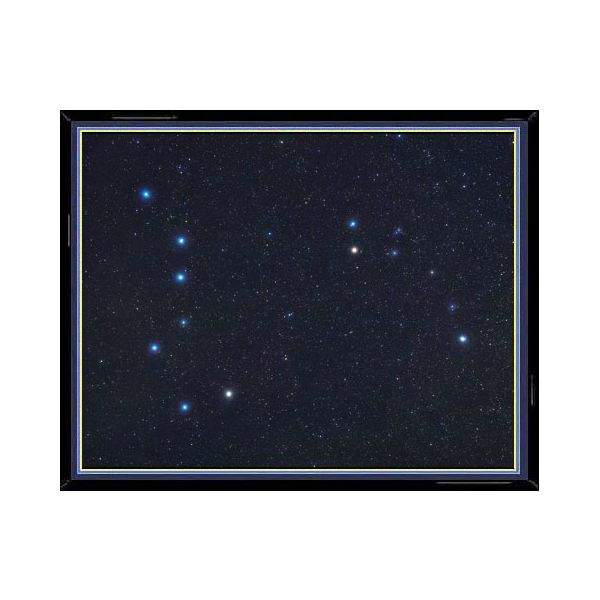 Ursa Minor is most notable primarily because Polaris, the northern star, is currently part of the constellation as well as currently the northern most star. Ursa Minor is also notable is because it is associated with, a withered mirror image of, and located near the Big Dipper/Plough. Noteworthy Facts: Polaris, the current “north star,” has within the last few years been confirmed to be a triple star system via photographs from the Hubble. 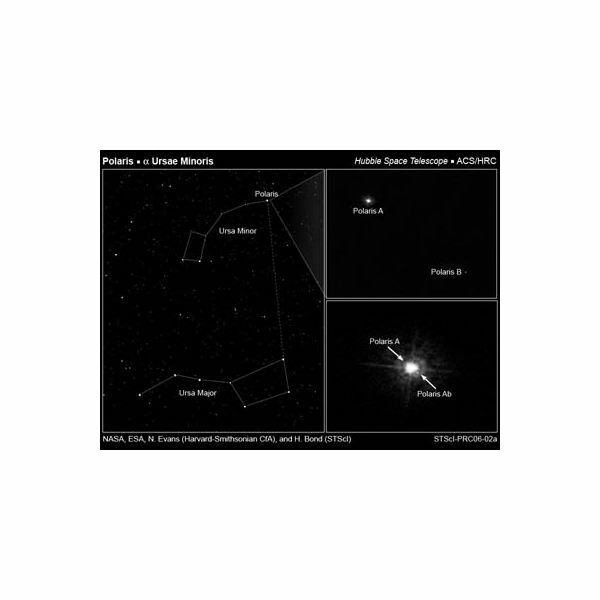 Polaris A, the brightest of three, has a companion Polaris Ab only 2 million miles away, and a third star in the system, Polaris B, sits approximately 250 million miles from Polaris A. However, Polaris will not be the northern most star indefinitely. Because Earth is subject to the precession of the equinoxes and thus the axis of Earth is in a state of rotation like (and I hope you can visualize this) the point of a wobbling top slowly creating circles (full rotations); the Earth’s axis makes a full rotation approximately every 26,000 years. 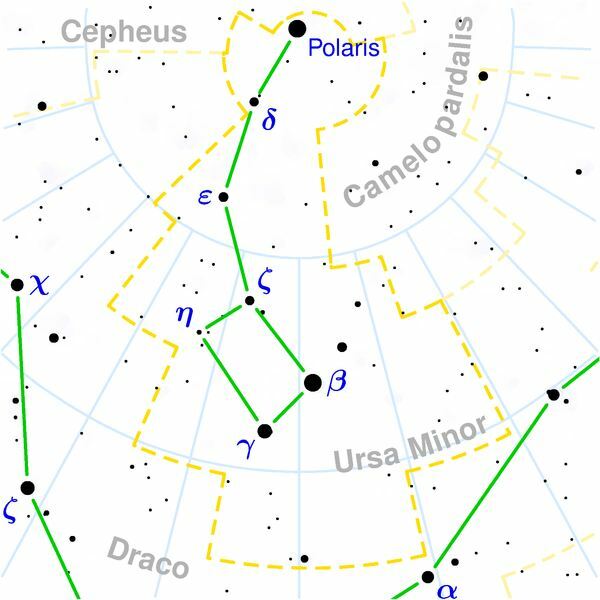 Before Polaris, Thuban was considered the North Pole Star, next in line is Errai, Alrai, and then Alderamin, though each, like Polaris, will be approximate locators for true north. The English word cynosure, which means something that serves as guidance or something that strongly attracts attention, comes from the Greek word kynósoura, which breaks down into “kynós,” dog’s, and “sourà,” tail; kynósoura is also a Greek name for Ursa Minor. The name and abstracted image of Ursa Minor are derived from the same story as the one telling of Ursa Major. The “little bear” is said to be Arcas, son of Callisto, a mortal woman who was impregnated by either Zeus or Jupiter, depending on the Greek or Roman version. Arcas was turned into a small bear by Zeus/Jupiter to save him from killing his mother, after he goes in search of her, who (his mother, Callisto) was also turned into a bear, although a large one. Callisto was turned into a bear by the wife of either Zeus or Jupiter, namely Hera or Juno, who was in a jealous rage because of the affair her husband just had with a mortal women, and the child born with Callisto. The two of them, Callisto and Arcas, were said to be heaved into the sky, out of sympathy from Zeus/Jupiter, where they would remain safe forever. The seemingly excessive length of the tail of the bear is said to be due to it stretching when getting caught and spun around the north axis. 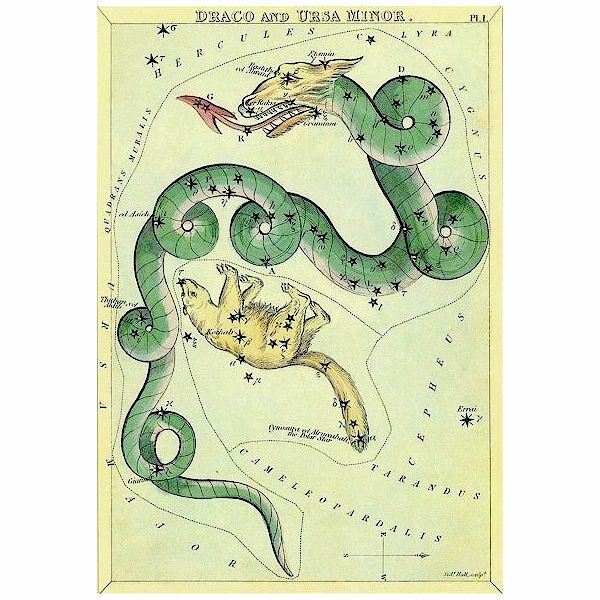 Another mythological explanation is that the Little Dipper is actually a dog quarreling with Draco, or possibly a tree that Draco is coiled around. In Hindu mythology Polaris is associated with Druva, a prince who was blessed with eternal life as the Pole Star because he fasted and abstained from water for six months, meditating. At the end of this time Vishnu wanted to reward him but he would not come out of his trance, focused only on the Lord. He is eventually brought back and at the end of his journey is placed as the Pole Star.